An adventurer at heart, Shirley is living life in her foster home. Greeting strangers with puppy kisses and tails wag Shirley is on the lookout for her forever home where new adventure awaits. Shirley is house trained and currently working on new tricks to impress her future adopters. Apply to adopt Shirley today! Shirley is available for pre-adopt only at time, but applications can still be completed. Applications for pre-adopt are processed in the order they are received. All Dallas Pets Alive adoptable pets are spayed or neutered, microchipped, and up to date on vaccines upon adoption. The standard minimum donation for dogs over six months to seven years is $200, puppies under six months is $250, dogs eight years and over are $100 unless specified otherwise. 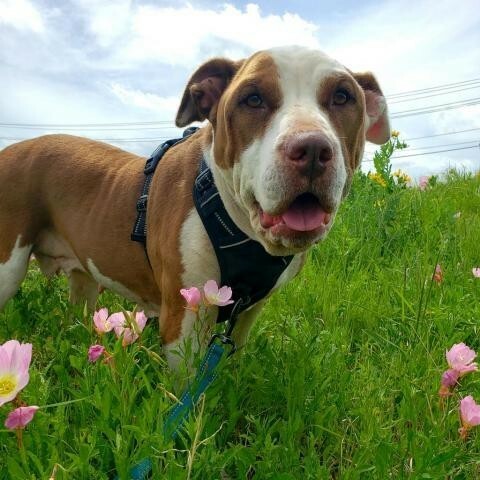 You can view all the adoptable pets and fill out an adoption application online on our website at http://dallaspetsalive.org/adopt/adoptable-dogs/ . For more information, you can email adopt@dallaspetsalive.org.